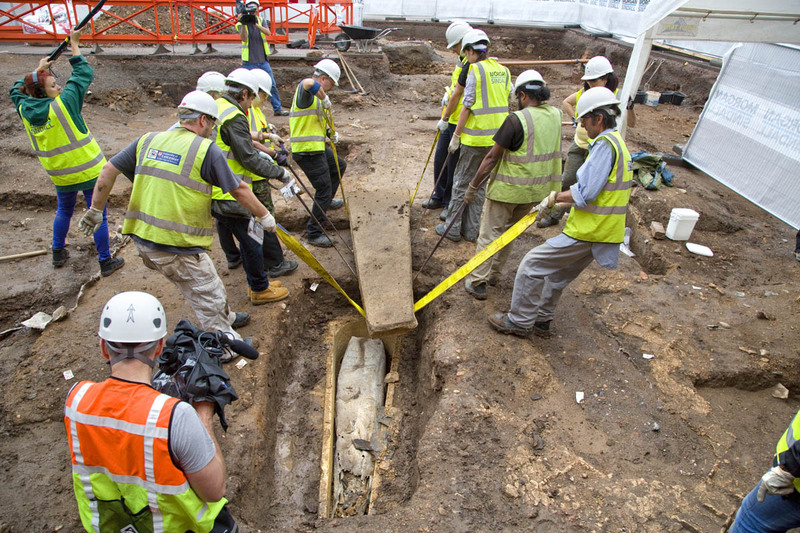 King Richard III was not the only person to be buried inside the Grey Friars church in Leicester. Over the course of the 2012 and 2013 excavations, archaeologists identified a further ten potential graves inside the chancel of the church including a mysterious stone sarcophagus found close to the site of Richard III’s hastily dug grave. In 2013, archaeologists fully excavated three of these graves, two beneath the church choir and the stone sarcophagus coffin in the church’s presbytery. The two graves inside the choir (Skeleton 3 and Skeleton 4) contained wooden coffins, whilst the grave in the presbytery was of someone buried inside a stone sarcophagus (Skeleton 5). This had been buried more or less centrally within the space, probably fairly close to the high altar, and was clearly for someone of high status, perhaps an important patron of the friary. Archaeologists carefully excavate Skeleton 3 (front) and Skeleton 4 (back). Image credit: University of Leicester. A further group of human bone (Skeleton 2) had been found in 2012 in a small pit dug into the building rubble overlying the church floor. This appears to be the disarticulated remains of a single person whose grave was probably disturbed by workmen demolishing the church in the mid-16th century, who had respectfully dug a small hole and reburied the remains. The jumbled remains of Skeleton 2 are carefully uncovered. Image credit: University of Leicester. Skeleton 2, the disturbed remains, was in her early to mid-20s when she died. Of slight build, she would have been 5’1’’ (155cm) tall. Her skeleton suggests that she led a life of physical work. Skeleton 3, buried beneath the choir, was in her 40s or 50s, also standing 5’1” (156cm) tall. Radiocarbon dating shows that she died in the latter half of the 13th or the 14th century (95% probable 1270-1400 cal AD). She had a possible congenital hip dislocation and her unusually robust shoulder joints might suggest that she walked using some type of crutch. Skeleton 4, also buried beneath the choir, was around 45 years of age, standing 5’4” (165cm) tall. Radiocarbon dating shows that she too died in the latter half of the 13th or the 14th century (95% probable 1270-1400 cal AD). Evidence shows that she led a life of hard physical work, frequently using her arms and legs to lift and support weight. Finally, Skeleton 5, buried in the stone sarcophagus. This is the first fully intact medieval stone sarcophagus to be discovered in Leicester during a modern archaeological excavation. The tapered outer coffin is carved from limestone and is over 2 metres long. Inside was an inner lead coffin, intact except for a hole at the foot end of the casket where the lead had decayed and collapsed inwards. No writing was visible on the coffin lid but it does bear a simple cross soldered onto the metal. Inside was a woman over 60 years of age, with a stature of 5’4” (163cm). Radiocarbon dating shows that she died in the later 13th or 14th century (95% probability 1250-1400 cal AD) making her potentially the earliest burial found in the church to date. Indeed, it seems likely that she was buried shortly after the friary’s church was completed in 1290. Small fragments of material and cord found beneath her legs are probably the remains of a shroud and a lock of hair survived next to her skull. Opening the stone coffin. It took nine people to carefully lift the stone lid. Image credit: University of Leicester. The inner lead casket revealed for the first time. Image credit: University of Leicester. Stable isotope analysis of the three intact burials (Skeletons 3, 4 and 5) has revealed that the women had a highly varied, protein-rich diet including large amounts of seafish. A diverse diet of this kind would have been typical of wealthy late medieval people who could afford to consume expensive foods like meat, game and fish, and in comparison with Richard III, these women were only eating slightly less meat and fish than the king. In contrast, analysis of burials inside another of Leicester’s medieval churches, the parish church of St Peter’s in the town’s north-east quarter, shows that the town’s diet more commonly comprised cereals and vegetables with less fish and considerably less meat being eaten. Although it might seem unusual that Richard III is the only male skeleton found inside the Grey Friars church it must be remembered that only four of ten known graves have been excavated with the potential fro hundreds more burials elsewhere inside the church, the other friary buildings and outside in the cemetery. Statistically, the sample is too small to draw any conclusions to the significance of so many women at Grey Friars. Excavation of other friary churches suggests that women were routinely buried in friaries, probably reflecting the close interaction friars had with their local community, in contrast to other more sequestered monastic orders. Cemeteries have been found to contain ratios ranging from 1:3 to 1:20 woman to men buried. Many of these women would have had a specific relationship with the friars, either through patronage, a spiritual link or family ties. Evidence suggests that some of the women buried in the eastern half of the church led a physically active life. Outwardly, this might not fit with the perceived norm, whereby this area of the church was reserved for wealthy benefactors and people of elevated social status. One skeleton is clearly that of a high status woman but others might suggest that the friary’s main source of donations came from the town’s middle-classes, merchants and tradespeople who were probably of more modest means, and worked for a living. 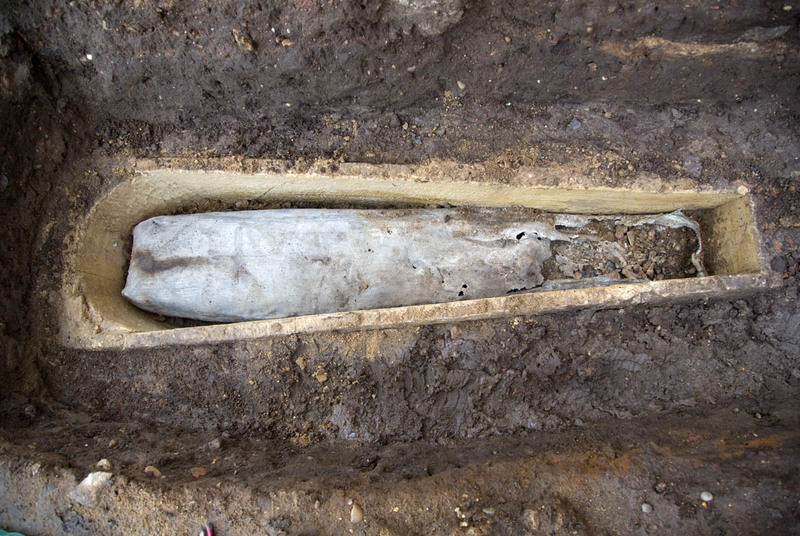 What stands out more is the contrast between the care and attention taken with these burials – large, neatly dug graves with coffins – and the crudeness of Richard III’s grave. 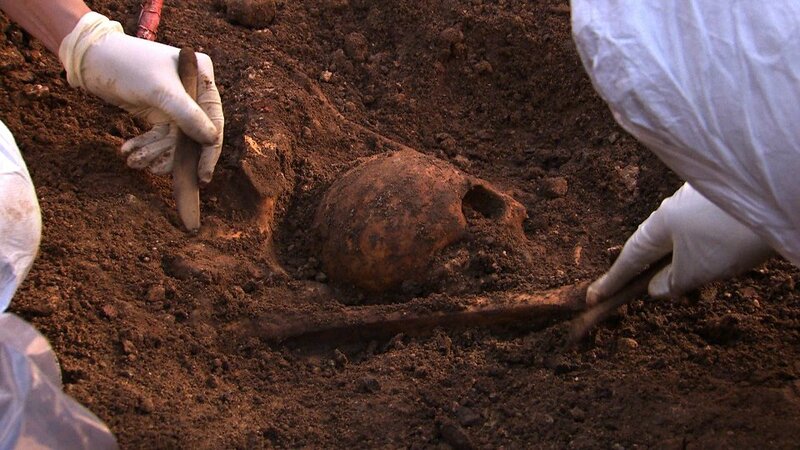 The more it is examined, the clearer it becomes how atypical Richard III’s burial really was. The limited surviving documentary evidence for the friary reveals at least seven women connected with the Franciscan Order in Leicester, either as a benefactor or in death. However, three died in the 16th century, making them too late to be one of these skeletons. Of the remaining four, Eleanor, countess of Leicester (d. 1275) is buried in Montargis Abbey, France; and it remains unclear whether the un-named wife of Sir William of Harley (whose funeral feast was held at the friary in 1334/5) and Ellen Lavener (who gave land to the friary in 1349) are even buried in the church. This leaves one, Emma, wife of John of Holt (probably from Neville Holt in south-eastern Leicestershire) who can be said to be buried in the Grey Friars church with any certainty. In September 1290, the Bishop of Lincoln issued an indulgence granting 20 days off Purgatory for all who would say ‘a Pater and an Ave for the soul of Emma wife of John of Holt, whose body is buried in the Franciscan church at Leicester.’ Her death before September 1290 fits with the radiocarbon dating results of our three burials. However, we know little about her and a lack of fundamental information, such as her age at death, what she did for a living, what she looked like or where in the church she was buried, coupled with no known descendants who can provide a DNA sample, make it impossible to say for certain whether one of these skeletons is that of Emma, or indeed anyone else. Sadly, they will forever remain anonymous. An interesting insight into the other burials at Greyfriars for those who have been following the Richard III story.